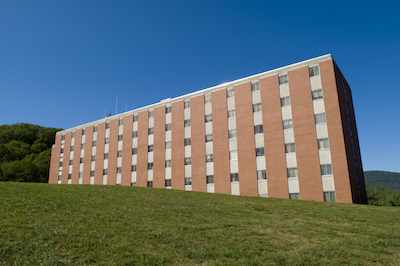 Completed in 2012, Fairview Suites is Lock Haven University's newest residence hall. 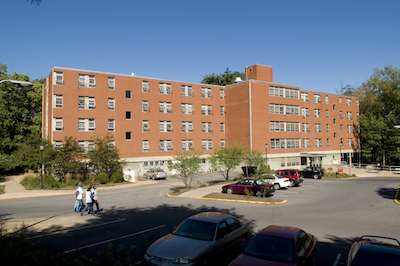 Featuring two suite-style room options, the building is home to more students than any other residence hall on campus. 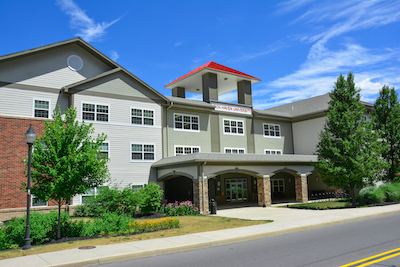 Evergreen Commons offers off-campus student apartments in close proximity to Main and East campus. The variety of floor plans, numerous amenities, and thriving resident community make Evergreen Commons a great off-campus option. The Willis Health Professions building is an exceptional, state-of-the-art facility primarily used for the Health Science program. There are athletic training facilities, an exercise physiology lab, rehabilitation center, and gross human anatomy (cadaver dissection) lab inside. One of the newest science buildings in the Commonwealth, our state-of-the-art East Campus Science Center offers extensive equipment for teaching and research in both field and laboratory settings for all of our science programs, giving you the chance for hands-on learning at every stage of your education. East Campus is broken up into two sections, J and G. The J side of the building provides our students with classrooms, our faculty with offices, and is home to a number of staff departments, including Human Resources, Procurement and many more. East Campus is broken up into two sections, J and G. The G side of the building primarily consists of a gym used for classes, clubs, and an alternative practice area for LHU’s varsity sports. Nanobites is a friendly, café style dining option conveniently located at East Campus. Stop by and grab a custom sandwich, Starbucks beverage or snack. 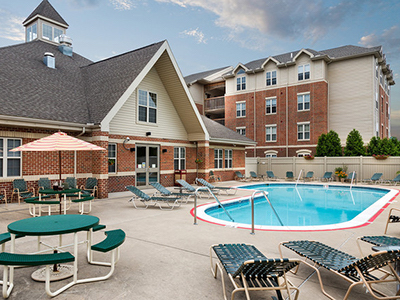 Home to upperclassmen, Campus Village is within short walking distance of both Main and East Campus. The apartment style rooms offer the space you need to live independently and complete your education. LHU’s Student Recreation Center is the perfect place to get fit and let off steam. Whether you’re looking for the structure of a fitness class, a place to gather with friends and play racquetball, or the challenge of a climbing wall, the SRC has all you need and more. The 42,000 square foot facility houses 3 multipurpose courts, 3 racquetball courts, dance/aerobics room, elevated indoor running track, 5 cardio bays, weight room, and a 30’ climbing wall. Freshly renovated in 2016, the Parsons Union Building or, as we like to call it, PUB, is the students’ building. Inside you will find the LHU Bookstore, a multipurpose game room where students can relax and hang out with their friends, a common area for students, and the home of our Student Activities Office. Opening its doors in 2008, the Durrwachter Alumni Conference Center, or DACC, is the primary venue for events on campus. 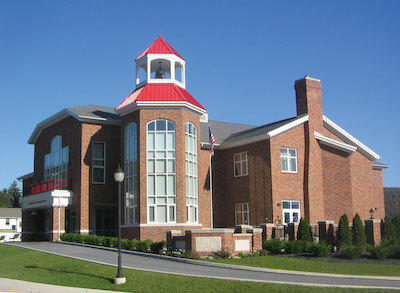 It also houses the Office of Admissions, University Relations, and the LHU Foundation. 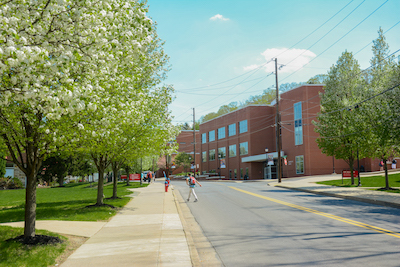 The Hursh-Nevel Building houses LHU’s duplicating services, some facilities equipment, and the University mail room. The mail room is open to students receiving packages and is open from 8:00 a.m. – 4:00 p.m. Monday through Friday. The Global Honors House is the home away from home for honors students. No students actually live in the house, but it is the main location where honors students collaborate. 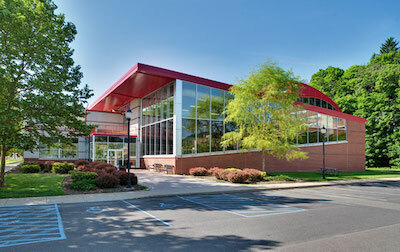 The building is complete with a computer lab, wireless internet, comfy couches, conference rooms, a game room, a projector screen with multi-media equipment, and the Honors Lounge complete with an HDTV and Blu-Ray player. Himes Hall has two distinct wings. The upper level is used for offices and classrooms, specifically to recreation students and faculty. The bottom level is a rehabilitation center for athletes and a practice facility for our athletic training students. Originally built in the 1950s, Thomas Fieldhouse is the main athletic complex on campus. The Fieldhouse is home to the Department of Athletics, indoor training facility for all sports and is the main competition site for volleyball, men’s and women’s basketball and wrestling. It is also used by the Health and Physical Education Department for classes. Work on Zimmerli Gymnasium was completed in 1970. The building takes its name from Elizabeth K. Zimmerli, Ed.D., Director of Health and Physical Education at the University from 1946-66. The building contains a six-lane pool, three gymnasiums, a racquetball court, locker/shower facilities, offices for the Department of Health and Physical Education, and classrooms. 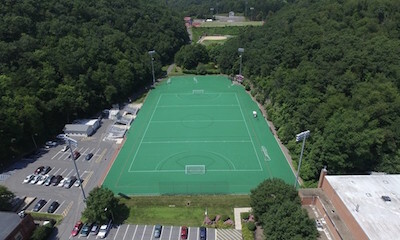 Re-dedicated to Dr. Charlotte E. Smith on October 25, 2008, this lighted, artificial turf field is home to the field hockey and lacrosse teams. 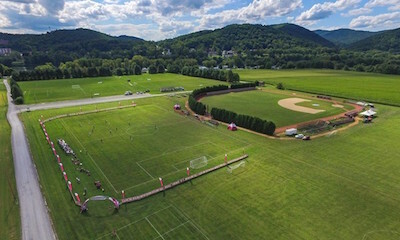 Pegged as one of the most scenic competition sites in the PSAC, Charlotte E. Smith Field lays between stunning, picturesque hillside of carved rocks. Lawrence Field was dedicated in 1953, named after former Lock Haven football player S. Dave (Whitey) Lawrence. 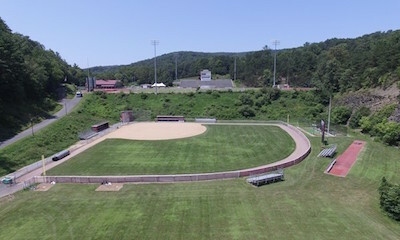 A former field for football and field hockey, Lawrence Field is now the home of Lock Haven softball. 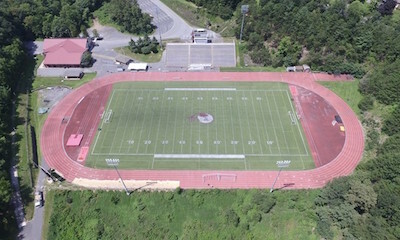 Completed in 1975, Hubert Jack Stadium was named for Hubert H. Jack, former Lock Haven football head coach from 1946-68 and head wrestling mentor from 1942-64. Hubert Jack Stadium remains one of the premier venues in all of college sports thanks to the wonderful view of the Susquehanna Valley. The stadium also boasts a seating capacity of 3,500 and a beautiful two-story press box. 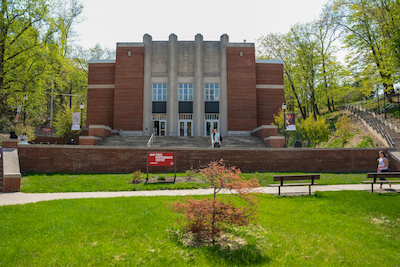 The oldest building on the campus of Lock Haven University, Rogers Gymnasium dates back to 1896. It was later named (1953) for James H. Rogers, '49, a former athlete, World War II veteran, and popular high school teacher who died shortly after receiving his degree. 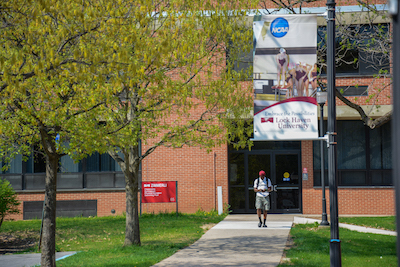 In March of 2015, the Lock Haven University Department of Athletics unveiled a modern transformation of the weight room dedicated by Lock Haven alumnus, James Berkebile, and the LHU Student Auxiliary Service Inc. In addition to the weight room, Rogers Gym has a basketball court and running track. 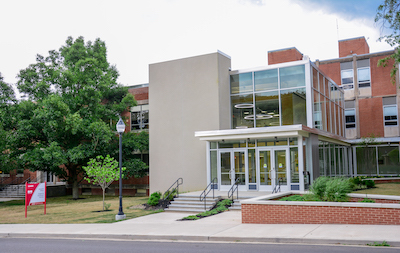 Akeley Hall is the primary home to the recently named Stephen Poorman College of Business, Information Systems, and Human Services. 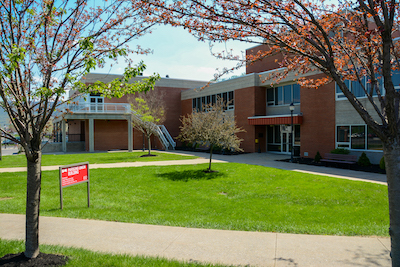 The building houses two computer labs, along with many classrooms that accommodate our business and computer science students. 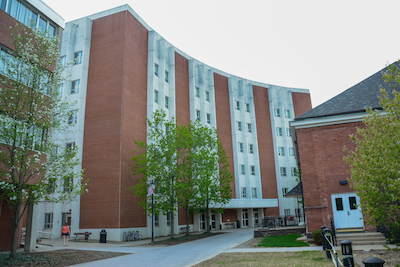 Located in the heart of campus, Robinson Hall is a seven-storied building featuring classrooms and faculty offices on every floor. It is home to a number of academic departments and also houses the Information Technology Department, T.V. and radio studios, among others. The first floor also has a snack store for students on the go, as well as the Hamblin Hall of Flags – a multipurpose room used for classes and conferences. Raub Hall resides in the heart of campus and is one of the most commonly used academic buildings on campus. The building features classrooms and offices on every floor and is equipped with a computer lab classroom on the first floor. Stevenson Library has everything a student will need to succeed in the classroom. 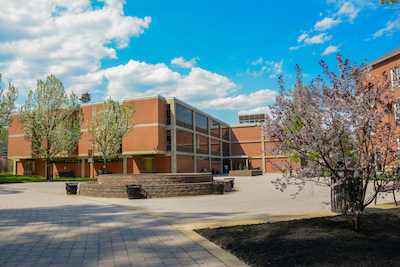 The building features numerous computer labs, group study spaces, a children’s library, media services, and the Wollack Learning Commons, which houses the Betty B. Schantz Tutorial Center. 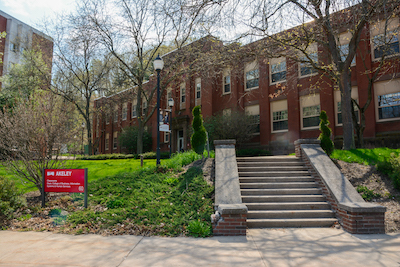 Recently renovated in 2016, Ulmer Hall has transitioned from the premier science building on campus to the home of many services and administrative offices. 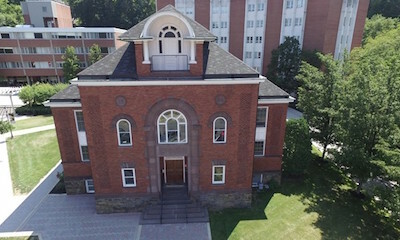 LHU’s Registrar, Financial Aid, Student Accounts, and Center for Career and Professional Development are just some of the services now housed in the building. On the third floor you will find administrative offices, including the Office of the President, Provost and Vice President of Enrollment Management. Despite the recent renovation, the planetarium is a major part of the building and seats 246 students for various classes. Located in the middle of campus, Smith Hall is within close walking distance of the most popular campus destinations from the PUB to Bentley Dining Hall, Stevenson Library, and many campus academic buildings. 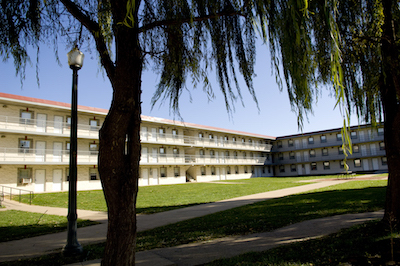 The building houses 248 students and offers all of the modern amenities available to students. Woolridge Hall is located near the center of campus and is conveniently situated near many of the University’s most popular spots including Bentley Dining Hall and the University Commons. 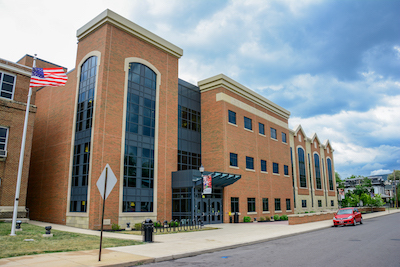 The building houses 210 students and was featured on ABC’s “Extreme Home Makeover” television show. – Sloan Fine Arts Center houses The College of Liberal Arts and Education, as well as the Visual and Performing Arts Department. 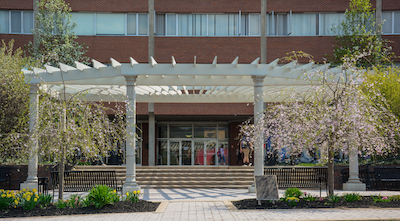 The building has numerous classrooms and art displays, as well as the Sloan Theatre, which is used to showcase all of our students’ talents throughout the academic year. Bentley Dining Hall is the primary dining facility on campus. The top floor or “Upper Bentley” features delicious buffet-style dining with an extensive menu. Eagle Rock at “Lower Bentley”, located on the middle floor offers a wide variety of foods to our students, including Starbucks, Chick-fil-A, Bentley Grille Works, Italian Kitchen, STAX Deli, and Bentley Market. Our largest auditorium, Price, is the cultural center of the University. Performances and special events are often held here in this 672 seat venue. 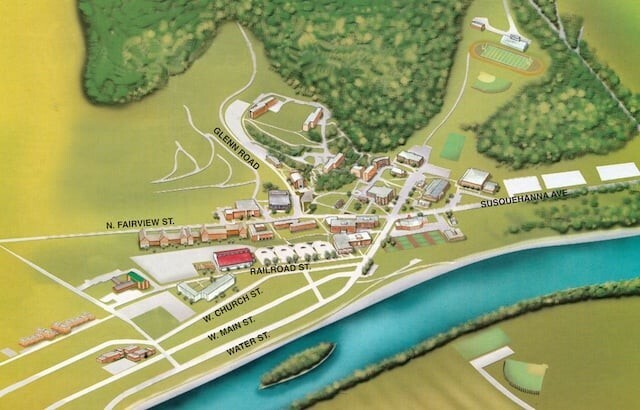 Nestled on the hill above campus, North Hall offers a scenic view that overlooks the picturesque Susquehanna River. The Hall is steps away from many of the main academic buildings on campus. McEntire Hall affords a scenic view of the Bald Eagle Valley and is near the popular nature trail that runs through campus. The building offers its own computer lab, kitchen, TV lounge, recreation room, and laundry facilities and rooms are co-ed by wing. 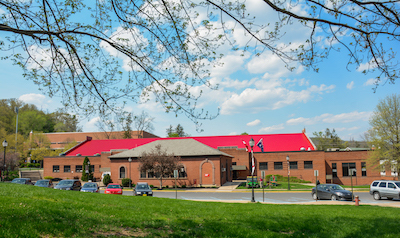 Dedicated in 2016, the Stern Family Athletic Complex is home to LHU men’s and women’s soccer, men’s and women’s cross country, as well as the LHU Baseball field.